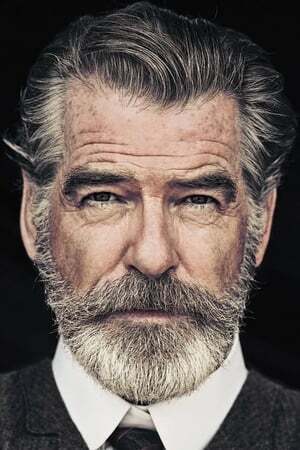 Pierce Brendan Brosnan, OBE (16 May 1953) is an Irish actor, film producer and environmentalist who holds Irish and American citizenship. After leaving school at 16, Brosnan began training in commercial illustration, but trained at the Drama Centre in London for three years. Following a stage acting career he rose to popularity in the television series Remington Steele (1982â€“87). After Remington Steele, Brosnan took the lead in many films such as Dante's Peak and The Thomas Crown Affair. In 1995, he became the fifth actor to portray secret agent James Bond in the official film series, starring in four films between 1995 and 2002. He also provided his voice and likeness to Bond in the 2004 video game James Bond 007: Everything or Nothing. Since playing Bond, he has starred in such successes as The Matador (nominated for a Golden Globe, 2005), Mamma Mia! (National Movie Award, 2008), and The Ghost Writer (2010). In 1996, along with Beau St. Clair, Brosnan formed Irish DreamTime, a Los Angeles-based production company. In later years, he has become known for his charitable work and environmental activism. He was married to Australian actress Cassandra Harris from 1980 until her death in 1991. He married American journalist and author Keely Shaye Smith in 2001, becoming an American citizen in 2004.